Athens Digital Arts Festival (ADAF), the Greek representative in the international digital arts scene, is opening the new season with a token from its last edition as well as new activities that will intrigue your appetite for its upcoming anniversary festival that will celebrate 15 years of constant presence. ADAF 2018 | SingularityNow opened new paths on how we imagine our future with an impressive organization at Megaron – The Athens Concert Hall, 24 – 27 of May 2018. 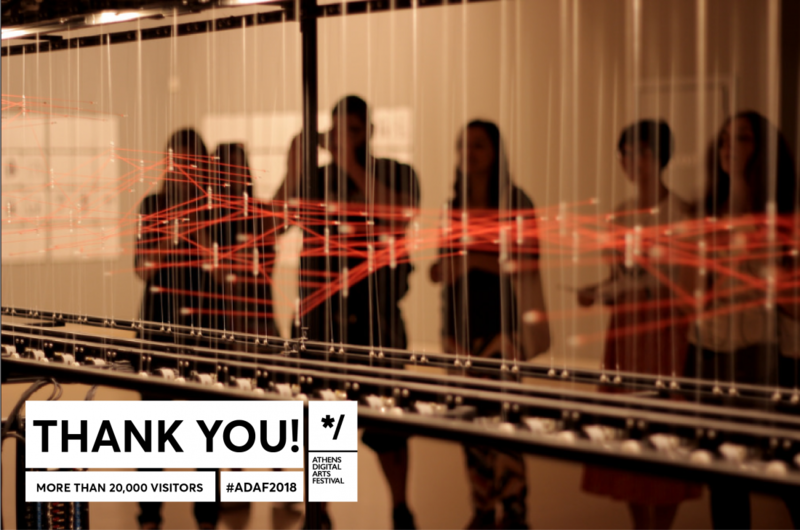 ADAF had the honor to welcome more than 20.000 visitors to a manifold exhibition of interactive installations, web art, digital image, video art, animation screenings, workshops & talks, presentations of international festivals and audiovisual performances.